The middle house in this classic postcard is now for sale. 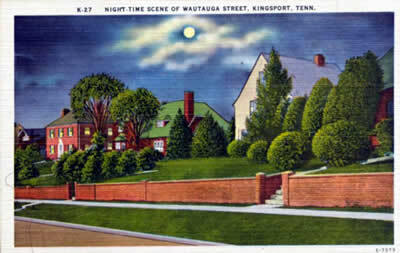 The postcard was issued by Asheville Post Card Company in the twenties as part of a series of Kingsport postcards. Here's a look at the crowd for the Subdudes show on June 15, 2006. Crowd estimates ranged from 900 to 1,400. Whatever the number, there were a lot of people. 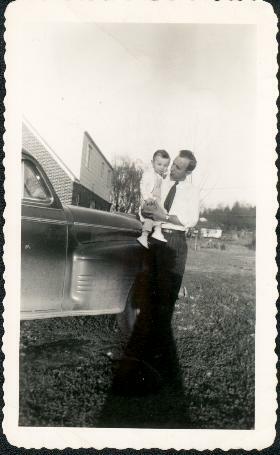 My dad and I when I was one year old. 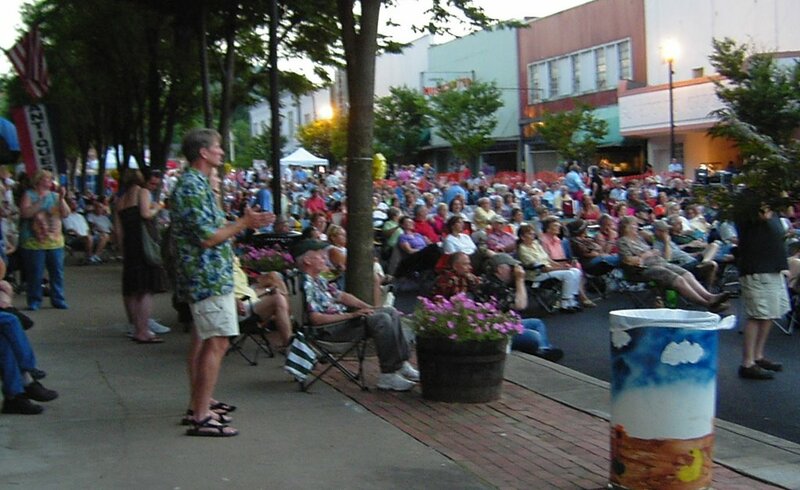 A recent column focused on Beach music and Kingsport's contribution, the Monzas. Here's a link to a forthcoming book about Myrtle Beach, the Shag dance and beach music. The book is titled "The Hey Baby Days of Beach Music" and will be released at the same time as a 14-CD compilation of Beach Music that will include Monzas songs. And here's a link to where you can buy Monzas records.